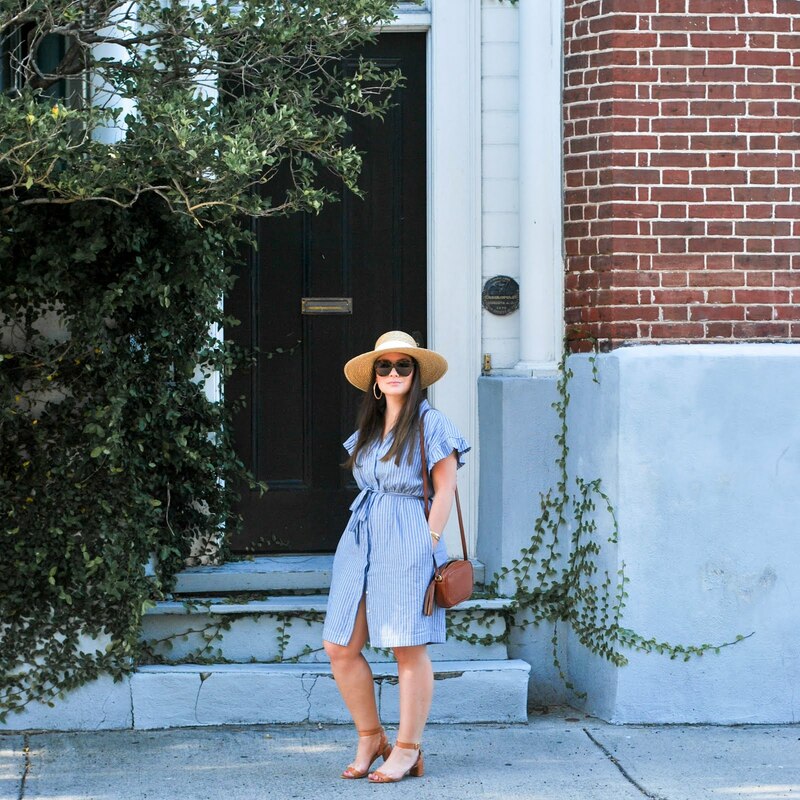 The deets: Dress c/o 360 Cashmere; Brixton hat; Star Mela bag (similar); Stuart Weitzman wedges (navy); Knox Thomas Designs bracelets; Prada sunnies. When at the beach I like to keep it as simple as possible. A soft cotton-cashmere dress with wedges is pretty much as simple as it gets, especially on my too sunned skin (oops). Throwing on my hat and grabbing my beach bag for an afternoon of mini-golf and lunch was easy as 1-2-3. 360 Cashmere has loads of soft cozy but still luxurious items that go great with summer weather! (love this "Endless Summer" one) My favorite beach hoodie is from there also seen here.